I own 2 businesses...Xtatus.Inc*(status) is my promo. business..I'm the BEST Female Promoter in Memphis which include contract nego.,million dollar proposals for coke/pepsi..for 10 yrs. my concerts with artist such as MAZE, Bobby WoMack, and Comedy shows with EarthQake & Ricky Smiley. My main show is CrunkFest, where I put 15 of the hottest rappers on one stage..such as Jezzy, 3-6Mafia, Remy Ma, Solja Boy and many more..
"Industry Executive Of the Year", and this yrs Award for. "Industry Power Player".. The Southern Entertainment Awards, oringinally out of Nashville, now is held January 22-25, at Harrahs casino in Tunica, Ms. I am nominated this yr. for "INDUSTRY POWER PLAYER(female) of the yr." I need everyone support on this voting process. It take jus a minute to go to www.southernentawards.com and look for my name (GoDilox) under INDUSTRY POWER PLAYER(FEMALE)..YOU DO NOT HAVE TO VOTE IN EVERY CATAGORY...they will send you a comformation email that you MUST click to make your vote count..I have worked soo hard over the years, especially being a woman in the music industry, dealing with Men who have tested my Womanhood and Rank and have lost..I'm humble for this recognition by my peers, and would love to be the FIRST BLACK WOMAN to bring this award home..Please comment on my page after you have voted for me..so I can see who my voters were..thank you..and I know I cant win without YOU!! Please VOTE 4 ME..Now I know how Obama feel. 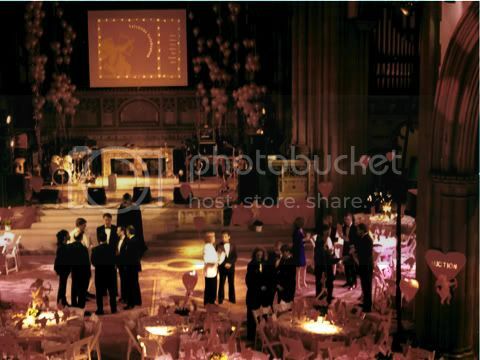 An event planner or producer seeking space for film shoots, family reunions, or a holding area and much much more. Landmark on the Park has hosted important fashion shows, including those by Anna Sui and Manolo; we're also the annual uptown production host of New York's legendary Macy's Thanksgiving Day parade. We can easily handle multi-day events, making our space useful for fashion shows, film shoots and business conferences. Please check out my page!!! I would luv to hear more about 'YOUR' endeavor!!! If I am not your friend...please add me as your friend...also please feel free to contact me 'anytime'!!! 10 Commandments for Dealing w/Landlords - What U the Commercial Tenant May Not Know? Thanx for responding, now you mentioned that you own an events/wedding business right? If you could give me one piece of valuable advise what would it be? Simply because I want to get off into event planning and or wedding consulting. I do enjoy decorating and party planning and stuff and I'm just fascinated with the whole wedding "thing", I figured why not make a career out of it you know. Anyway, I got peeps in the Tennessee area (shout outs to the peeps) it's good to see a positive Black female holding in down in those parts. I know that you mentioned that you put together shows and such, how often and where, cuz I may have some serious raw talent 4 'ya! Holla at cha gurl. Girl, it sure seems like you are straight running thangz! It is so inspiring to see a young sista doin' her thing, and you seem so in control and so confident. I would really like to talk to you more, because I believe you are the type of fire I need to get my thing started. I wanna be on your team, how can I be down? okaaay. Just from checking out your profile page, I would definetely vote you playa of tha year (and I don't even know you like that). Keep doin' you and may God continue to bless you in every aspect. Hi, I've submitted my vote and wish you all the best. HI! Just stopped by to introduce myself and to invite you to browse my page and website about Ameriplan (affordable healthcare benefits) We help people who need healthcare or who looking to save on health plan We are having a promtion going on thise month only $20 for any health plan we have.